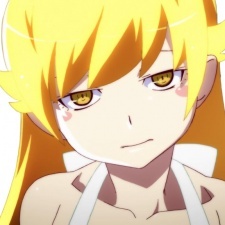 Are you also a fan of the Monogatari series? Tenshiak! How about that latest Gantz:G? I saw you in the chapter discussion thread. haha hilarity ensued. It does seem like its slowly becoming more "gantz-like" tho I guess. More importantly the Gantz:O movie just dropped in Japan yesterday. You as ecstatic as I am? You're making great strides with Akumetsu I see also btw. You're watching Paranoia Agent? Good choice. Satoshi Kon only makes masterpieces! If you like it make sure you watch Paprika. Its beyond trippy & my favorite of his works. I know I've almost read all of them already looking for my Gantz fix. After reading it every month for years its just not the same without it. I just wish it would have gotten the ending it deserved. I'm still irked by the way things went. If you know of anything to recommend hit me tho I've already read Berserk, MPD Psycho, Elfen Lied, Shingeki no Kyojin, & Akumetsu. I'm up to date with Inuyashiki too. btw what do you think of it? Inuyashiki I mean. You too. Always a pleasure to meet another Gantz fan. Don't know anyone in real life that knows of it. Yooo. You got some good taste. Thanks for the add I guess. I don't talk to people much. Hit me up if you want mang.